PlusUrbia is excited to be working to survey the Shenandoah neighborhood along with Dade Heritage Trust. POSTED ON MARCH 21, 2019 AT 1:18 PM. 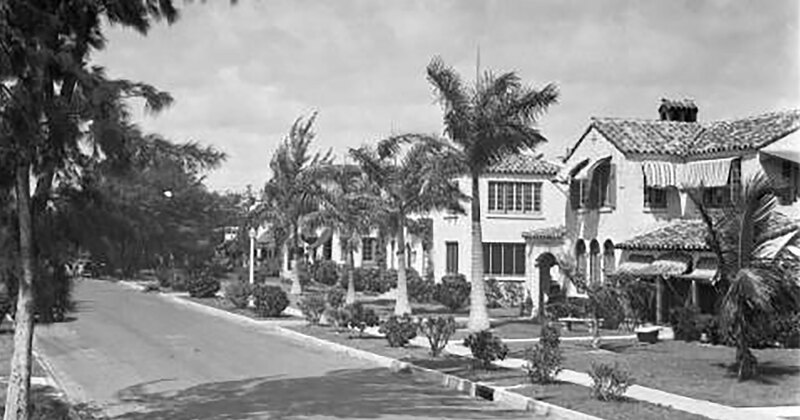 WHAT IT IS: Shenandoah, a neighborhood just southwest of downtown Miami, is one largest collections of 1920s and 1930s architecture that the city or state hasn’t studied or documented. Megan McLaughlin moved to the neighborhood 10 years ago because she exhausted of her 90 minute commute to downtown. With two toddlers, she felt like she was missing out on so much time with them. So she and her husband moved to Shenandoah, where they can walk everywhere and catch a bus to downtown. McLaughlin and Chris Rupp from the Dade Heritage Trust have partnered to survey the neighborhood and put together a report with the data they collect. With a grant from the state, they’ll create a file for each of the 650 properties in Shenandoah that will include the history of the house, previous owners and residents, and the prominent architectural features. MOST SURPRISING FACT: According to McLaughlin, Shenandoah is one of the most diverse neighborhoods in Miami, a city that’s already very inclusive of all ethnic and cultural backgrounds. McLaughlin said that city directories show that the neighborhood was at some point home to Jewish, Middle Eastern, and Russian families. Cuban and other refugee families also settled there in the 1960s. WHY IT IS IMPORTANT: Shenandoah was one of the first suburban developments outside of downtown and has always been ahead of its time, McLaughlin said. HOW TO GET INVOLVED: If you’re interested in volunteering to help conduct the survey or organize the collected data – or organize a similar survey for your own neighborhood – McLaughlin said you can contact the Dade Heritage Trust.